The immigration narrative told through the lens of science fiction is one of my favorite tropes in storytelling and pop culture. Most of the time, movies and/or stories about immigration are as direct as a slap on the back of the head. Other times, elements of that narrative are just borrowed or touched on because the focus of the movie and/or story is one of outsiders, exclusion, and othering. Finding those kinds of those hybrid stories in comic books is easy, all you have to do is look to characters like Superman and the X men. But every once in a while, something different comes along and Barrier by Brian K. Vaughan is that something. 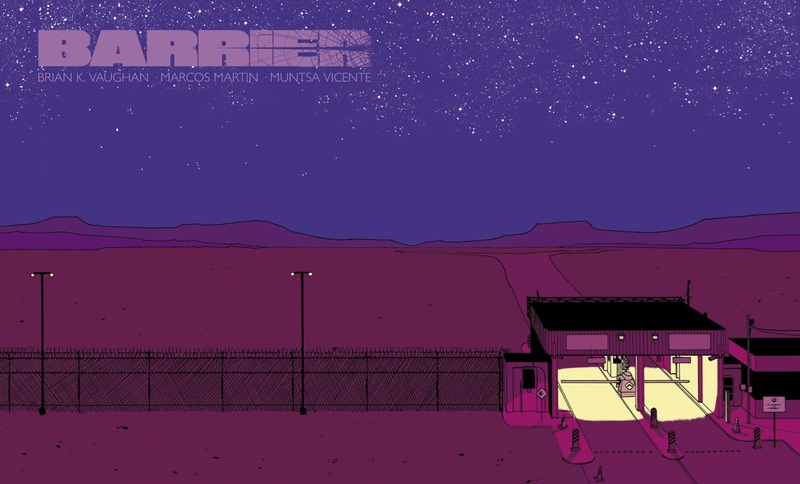 I read the first issue of Barrier when it was first published digitally in 2015. I don’t remember what my impressions were from that first reading, but I knew it would something cool because of the writer. I also figured it would be easier to wait for the story to finish rather than reading it as it was released. It took a few years, but the creators eventually completed the story and later announced that it would be available in print for a limited time. So rather than buying all five issues online as a digital copy, I waited to buy the physical comic instead. So, before I get into my thoughts on the book itself, there will be spoilers if you haven't read it or plan on reading it. I'd much prefer y'all read the story and then come back to read what I have to say. For the longest now, I've been telling myself that I need to come back to the blog and post something up. Even if it is something dumb. I don't like letting months pass between post cause that is a sign that the person behind the screen is forgetting about the space. Funny enough, not a day goes by that I don't think about it, mostly cause I've been reminding myself to write something up. I'm still here. 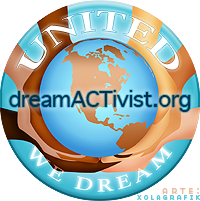 I renewed my DACA for the 3rd time at the beginning of the year, so things are covered on that end till the end of 2020 when it goes up for renewal again. Ain't that quite the coincidence? Since my DACA is in good standing, I'm still clocking in at the job I've had the last four years. Last year, around summertime, I stopped doing social media for the artist Favianna Rodriguez. It wasn't something I bragged about it because it was side hustle work and the only people that really knew were those in the social justice/non-profit circles. 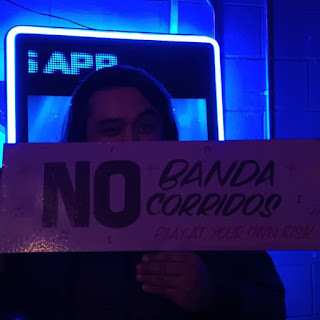 Still, every once in a while I flexed on foos just to see their reaction haha. I'm grateful to Favianna for bringing me on her team all those years ago and trusting me with her social media channels. I had a good few months of free time now that I was down to just one part-time job vs having multiple at once. I got to catch up on some great video games, traveled to new states/cities, and genuinely enjoyed my time, but eventually, I picked up another side hustle by running social media on L.A. Taco. I have DEEP history with taco as they were the first place outside my school newspaper and personal blog that gave me space to do the journalism thing. I had a lotta fun back then and while I eventually faded out to get woke and fight for problematic legislation, I still contributed here and there. So when I saw the chance to jump in the mix again as the site took on a new role the L.A. media landscape, I was on it like white on rice on a white paper plate in a snowstorm. Last few months have been exhausting cause I'm back to grinding away at two part-time jobs that each carry the workload of a regular full time one. But brother, when the getting is good, the getting is good. I'm exhaustedly honored to be part of the current L.A. Team and handling their socials. Follow and become a member if you haven't already. Lastly, the other reason I haven't been writing as often as I should be is because the podcast I started eats up the rest of the creative energy I have in a day. Also, I have a podcast! I'm having a lot of fun with it and chop it up with guest on a monthly basis. This is something I've always wanted to do and short of having my own tv, narrating, hype beast, eating tv show on Netflix, Vice or wherever, this is the closest I'll get. Like I tell most people, once the podcast stops being fun, that's when I'll put an end it to it and that isn't going to happen for a good while. So, despite me flaking on writing on here, I keep myself busy. Doing all this makes the time go by faster, so much so that I'm taken back every time I realize I'm turning 35 this year. A 35 year old DACA recipient with multiple part time jobs, a podcast, and a mediocre social media following. I am my ancestors wildest dreams.